Tecno Mobile ( A Subsidiary of Transsion Holdings) is a Chinese base Smart Phone manufacturing company, having a huge market share in Africa with Nigeria as its most viable market. The Company Smartphones hardware is mostly powered by MTK processor while it runs Google’s Android Codenamed HiOS as its core Operating System. Tecno has continued to improve its smartphones and HiOS by releasing regular update with bug fix or upgraded Android version. Users can update their device manually or OTA (Over the Air). There are instances when Tecno Phone OS may crash due to OTA update failure, Virus attack, Installation of corrupt App or Bricked. Whatever may be the cause of your phone problem; if a hard reset fails to rectify the error then you have to follow this guide to have it flashed. I will assume you have zero knowledge of Android Phones Flashing hence I’ll define few jargons associated with flashing a Mobile Phone. 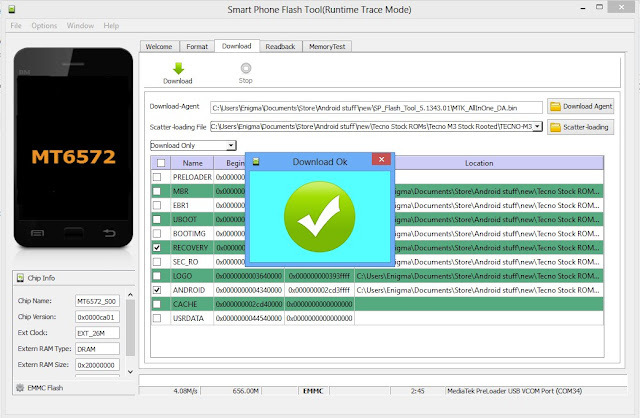 SP Flash Tool: This is a free MTK phones Flashing Software, it will be responsible for writing a Stock or Custom ROM on your device. There are similar Tools like Chinese Miracle Box, MTK Droid Tool, Volcano Tool Etc. I actually picked SP Flash Tools over others in that it’s self-explanatory and also free. Firmware: it’s a collection of all the component files like Images, Bootloader, GUI etc. required to run Android Operating System on your Smartphone. There are two types of Firmware “Stock Rom” and “Custom Rom”. Stock Rom: It refers to a type of firmware developed and made available by Tecno Mobile for its servicing centres across the Globe. Custom Rom: The difference between Stock and Custom Rom is one of Developers choice. This type of firmware has been modified and made available by a third party hence the interface may be quite different from HiOS. OS Versions: This refers to the version of firmware you wish to upgrade or downgrade your phone to. Eg. You can upgrade your Tecno Phone from Android 6.0 (Marshmallow) to Android 7.0 (Nougt). Model Variant: The variant of a phone means the different varieties or types of a particular phone model. eg. Tecno Y3, Y3ss, etc. Please always pay attention to the variant difference when downloading a firmware and before flashing your Device. To check your Tecno Phone or Tablet Variant go to Settings and click on About. Flashing: Refers to the process of writing a new firmware on your device ROM. When done the phone is reverted to its default state with Zero third parties Apps. • Flashing your device will erase all your Data therefore backup all your contacts, Images, Files etc. before you proceed. 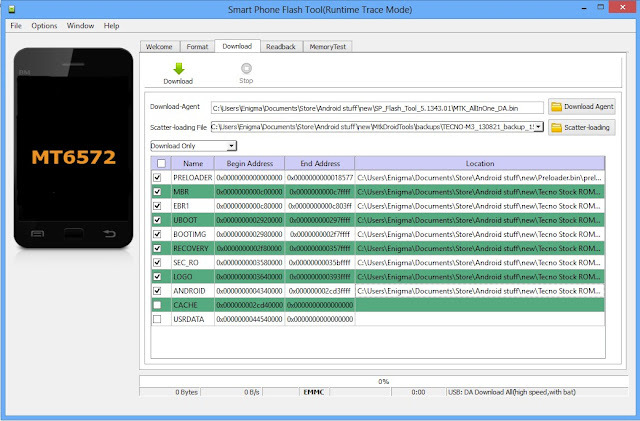 • Compare and confirm your Tecno Phone Variant with the Variant of the Firmware you have downloaded. Flashing with the wrong variant Firmware could be fatal. • Your Phone Battery must have at least 50% charge before you proceed. • Disable your Antivirus Software as it may flag off your Flash File as a Virus. • Once you have initiated the Flashing process, do not disconnect your Phone until it’s completed. • You are following this Tutorial at your own risk; we are not liable for any claims from any party. • Switch Off your Tecno Phone and Remove its Battery. • If all of the above fails Service your Tecno Phone Motherboard and USB Port and Try again. enable dram failed error, how do you resolve?